Don't rush into the cloud before taking the time to understand what you want, and what you need. When it comes to cloud adoption, organizations have shifted from asking, “Should we move to the cloud?” to more fundamental questions like “Which cloud is the best fit for us strategically?” Microsoft Azure and Amazon Web Services are now leaders in Gartner’s IaaS Magic Quadrant and it’s getting harder to find any differences between the two. Meanwhile, Google is waiting in the wings. Instead of selecting a cloud based on features and price, it’s important to identify the main business factors that influence your choice. 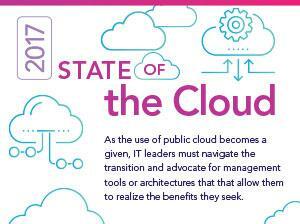 What will moving everything to the cloud accomplish? How will it make things better for your customers? How long will it take? Going all in on the cloud can be time-consuming, risky, expensive, and scary, especially if you’re using different solutions for different departments or horizontal workflows that are already working. It’s an approach that involves a departure from how cloud migration decisions have been made in the past. For example, one of the most decisive influencing factors in choosing a cloud provider has been the input of the IT team. Meanwhile, cloud practitioners have advised businesses to consider moving one application or platform to the cloud at a time, like moving SharePoint to the cloud with Office 365. While this is not a bad approach, in a dynamic cloud market where each vendor has its own sweet spot and technology innovation is constantly evolving organizations that are preparing for migration need to do a little more homework. The problem is that most businesses only navigate a portion of this landscape and fail to take into consideration the whole. For instance, IT teams think about the talent they have in-house and the technical capabilities of the cloud provider. But this input is sometimes prioritized over any input from the business and, potentially, the business benefits that could be provided by another cloud provider. It works both ways. 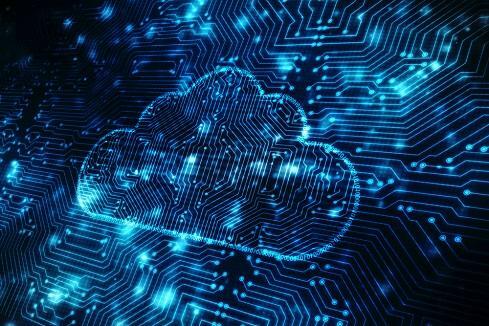 Business stakeholders are also guilty of leaning toward a cloud solution that meets their use case, but falls short when considering the technical contingencies of any deployment. Before choosing a cloud solution, a key goal should be to define the intersection of all three factors (business drivers, internal expertise, and cloud capabilities). Avoid comparing cloud services apples-for-apples; instead analyze the needs and use case of the organization first. By focusing on a platform-agnostic decision-making process, the business values and technical predispositions of the company are preserved (not bypassed) – while paying heed to the evolving technical capabilities of the cloud provider. 1. Set clear objectives about what you’re trying to achieve, and why. This will help you stay on-track and focused. 2. Define your use case(s). For example, pick a specific business domain (CRM, inventory system, etc.) that could benefit from a cloud deployment. This will help you contextualize your analysis and analyze your existing systems to understand the total cost of ownership and architectural challenges of moving to the cloud. 3. Select your cloud architecture based on these requirements. If you lack the expertise in-house, work with a consultant or with the cloud providers directly. 4. Run a proof-of-concept to validate your conclusions. This will help you validate your findings and determine whether the project gets the green light. You’ll notice that this methodology focuses more on keeping the objectives of the business top-of-mind rather than the merits of the cloud provider. It also flushes out poorly articulated arguments and keeps dialog open, mitigating the problems of siloed decision-making, and encouraging a willingness to shift strategy, before it’s too late. Like any new relationship, don’t rush into the cloud before taking the time to understand what you want, and what you need. Remember that your needs may change, and technology evolves quickly – so a periodic re-evaluation of both will ensure that your needs and your solution remain balanced. 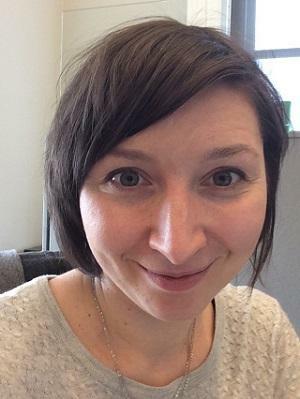 Natalia Tsymbalenko is a Solutions Architect at EastBanc Technologies.